At the beginning of Lent, I wrote in a newsletter entry that, in our liturgies, we would be marking that season of penitence by changing some of the language and ways of praying to which we are accustomed. We began to say rather than sing some of the liturgy, and we omitted alleluias, and began our services with the Penitential Order, confessing our sins right at the beginning of each service. Now that we are in Eastertide, we have gone back to doing some of the things we were doing before, but not all of them. You may have noticed that we aren’t doing a confession at all, an acknowledgement of the Good News of Easter in which all of humankind is raised, with Christ, to new life. I was recently asked why we aren’t singing the Nicene Creed at the 11:00 am service. There are many reasons for that, but I will highlight two in particular. The 11:00 am service is our most classic and traditional Episcopal liturgy with full choir and organ and procession following the cross at the beginning of the service. There is a certain form that, if we are publicizing this as a traditional liturgy, people will expect when they come. The Nicene Creed, one of the oldest parts of what we say each week, is a significant part of that. The sung version that we have been using to the tune Nettleton (familiar as the hymn Come thou fount of every blessing) simplifies the creed to make it a little more understandable for children (and we are singing it at the 9:00 am service), but that text lacks the depth and breadth of our affirmation of faith found in the full creed. 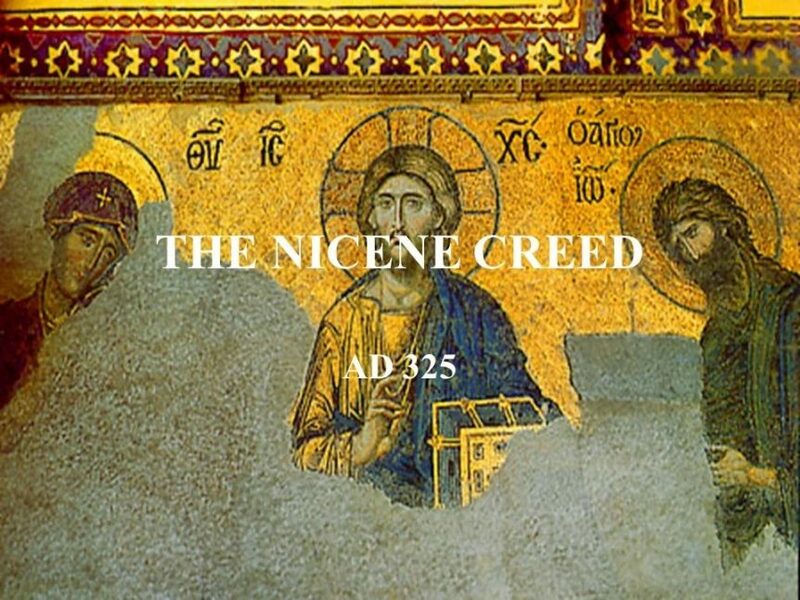 It is important to have a clear understanding of the Nicene Creed, even when parts of it make us scratch our heads and wonder if we really do believe all of it. By saying the full creed each week, we are challenged to wrestle with the theological foundations of a fully catholic faith. So perhaps we will sing it again at the 11:00 am. Perhaps we will find another version to sing that retains the depth of the actual text. Perhaps we will go back to saying it at the 9:00 am. It’s all a part of making sure that we are following the liturgical order as it has been laid out for us over centuries of worship, teaching the ancient words that were, in their time, a basic statement of faith – the things that could be agreed upon when there were so many things that could not. The catechism found at the back of the Book of Common Prayer explains that the creed is a statement of the “universal church” of which we are a part. Changing that can disconnect us from that universal church, which (I believe) we do at our peril.